Think MicroMachines combined with the classic Atari Combat tank game, and you've got an idea about the scale and intent of Tank-o-Box. 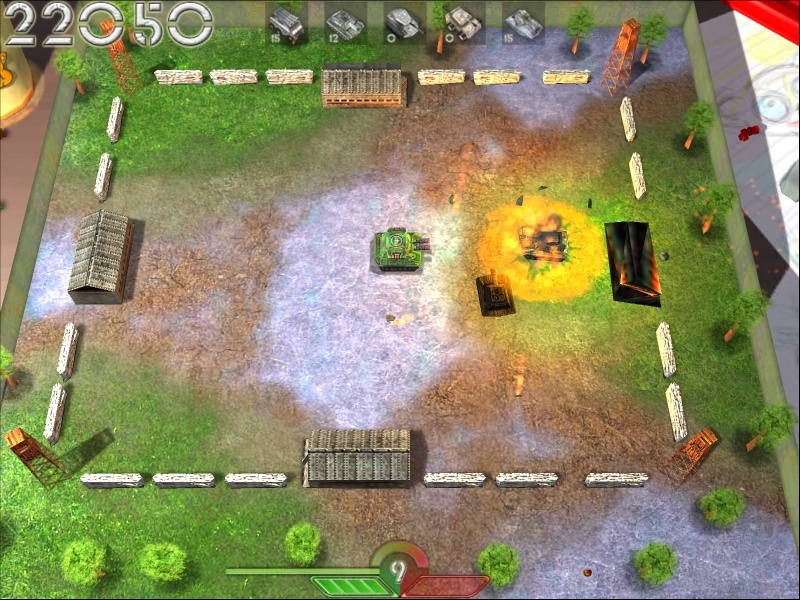 Tank-O-Box is a 3D throwback to the classic arcade games of the past from Exclusive Games. In it, you control a tank, and must defend your headquarters as well as destroy all of the enemy tanks. This may not be the deepest gameplay idea ever, but sometimes, the simplest idea can be one of the most enjoyable. Even if the game may seem a little easy (I was able to blow through many missions in Arcade Mode rather fast), you'll be having too much fun to care. With so many games these days that focus on multiple objectives at a time, it's refreshing to play an updated arcade classic like this. One of the most influential Russian game portals, Absolute Games has reviewed Russian version of Tank-o-Box.